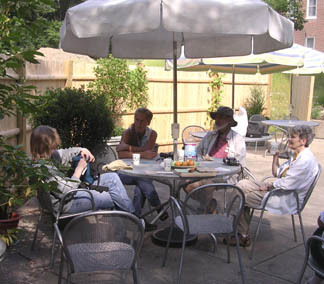 Participants enjoyed refreshments on the Neville patio, while recording the list of bird species observed on the morning's walk. Highlights included three species of heron at Black's Nook, including a great blue heron, a black-crowned night heron, and a pair of green herons building a nest. We later observed a nesting eastern kingbird and a nesting American robin.